As a child, Esther and her family lived in Kisumu, where her mother sold vegetables and her dad was a city TukTuk driver. When Esther was 12, her mother died in childbirth. 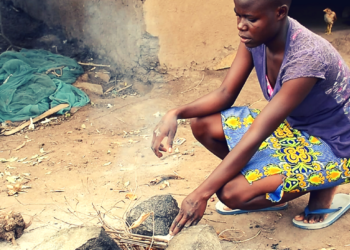 Her family had to move from Kisumu town slum to the village, where living is less expensive but has limitations such as access to health care, education and water. Since Esther was the oldest sibling, she now took the responsibility of her mother for her family. She started to budget daily for food, go to the market to shop, prepare meals, clean the home and collect water from the river half mile away from home. After her mother’s funeral, she and her siblings did not attend school for several months. 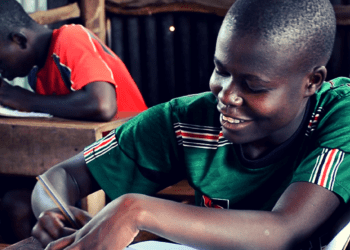 Their maternal grandmother knew of LightHouse Academy (LHA) but was not sure if they could be admitted, since it would be very difficult for Esther’s father to afford taking all of them to school. One day, she sent them with their father and we immediately fell in love with the family, and admitted all 3 siblings to LHA. 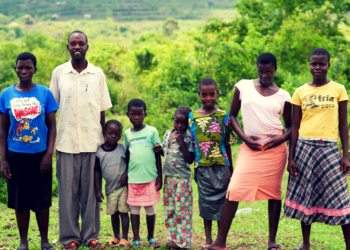 Rafiki has helped this family access good education and meals for the kids while at school. We have also helped with family support by providing resources for a better home, meals at home and health care. Finally this November, Esther graduated from 8th grade, which will allow her to attend high school and eventually college. Esther has very impressive leadership skills that she has used to help her father take care of her family and at school. She wants to be a nurse and go back to help her community. Currently she is in student government and helps coordinate a lot of activities on campus. Esther is one out of 19 students graduating from LightHouse in 8th grade. Each of her classmates have a story. They need support to be able to continue with their education in high school. Please consider partnering with Esther and her classmates to reach their goal of $10,500 by the end of the year. You also have the opportunity to be a sustaining partner for their four years of high school education by partnering through monthly giving. 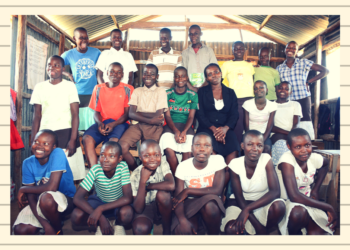 Please prayerfully consider supporting Esther and her classmates. Our well project has been in motion since 2015, when we first started engaging the community to plan and build support and buy-in for the well. This is important since the well will support 5 communities, and village chiefs have the ability to keep their people from using the water. We want the water to be accessible and used by all, so we’ve taken our time and gotten everyone on board. Water Missions International is currently in the process of installing the well, and clean water will hopefully be made available during 2018. Clean water is a high-impact project in our community. Readily available and affordable clean water means we don’t have to purchase it expensively for making school lunches and for drinking water for the kids at LightHouse Academy. It means we can move forward with plans for a bakery in Alendu, since we’ll have clean water for baking. It means a whole lot less preventable illness in Alendu.